detoxify your body, relieve tension, and/or increase mental alertness. 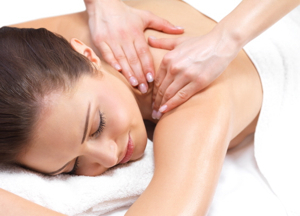 A full body massage requires at least 60 minutes. 90 minutes is recommended for a more relaxing experience. We have a Couple’s Room so you and your partner can enjoy your treatment together. I have been to Knead a couple of time and I find that they have a wide variety of different treatments. They have a special treatment such as deep tissue that help me relief my neck ache that has been with me for ages just after two consecutive treatments. I will continue to go back for their treatment. Do give it a try when you are around Holland Village. You will never regret it. My Wife was pregnant last year and went to Knead for a pre natal massage. My Wife is very impressed with they treatment as their massage therapist is very friendly and skilful with their pre natal massage. My Wife will be due in May and she said that she will definitely go back to them for their post natal massage. Highly recommended for they skill and friendly service. Do give it a try if your any of your family members want to try their pre and post natal massage. I happened to be at Holland Village for a friend gathering and after a week of work my body was aching and needed to relax. After the friend gathering I happen to saw Knead at Holland Village and went up to query and give it a try. After a foot and stress relief massage, my body aching feeling is relief and will definitely go back again for more treatment. Do give it a try when you are at Holland Village. You will not regret it.